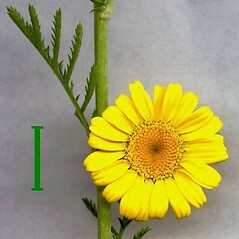 Golden-chamomile is a Eurasian introduction that is a prolifically self-seeding perennial, and therefore prone to escape. 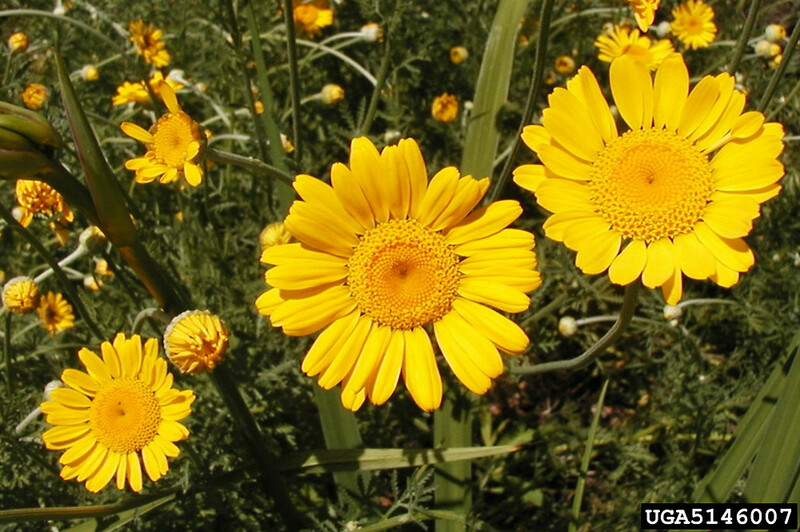 This plant has been used for centuries to produce high-quality dyes of yellow, buff and orange for dyeing fabric. 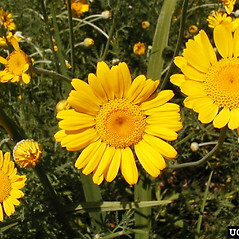 golden-chamomile. 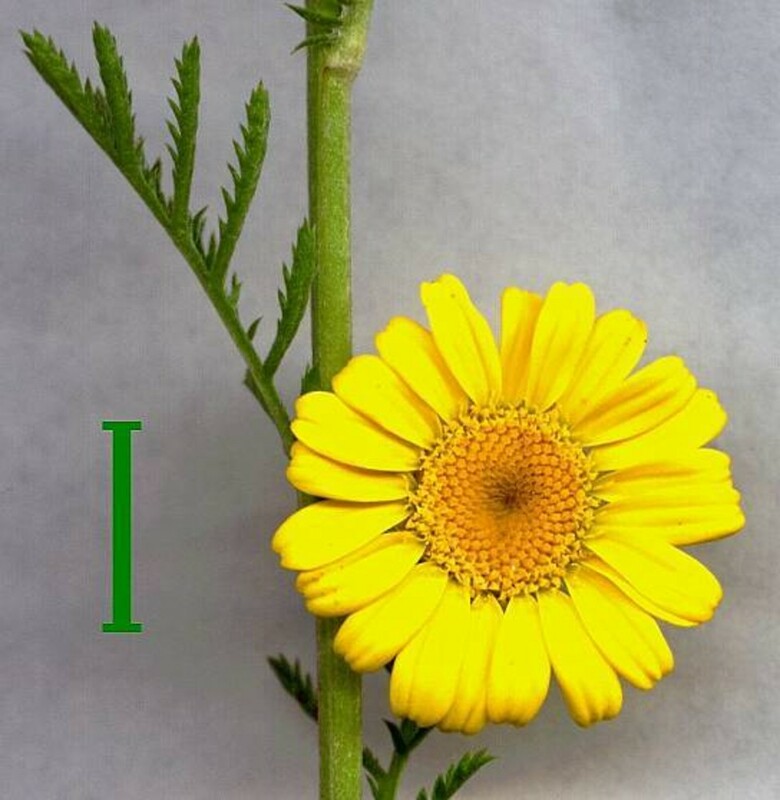 Anthemis tinctoria L. • CT, MA, ME, NH, RI, VT. Fields, roadsides, disturbed soil.